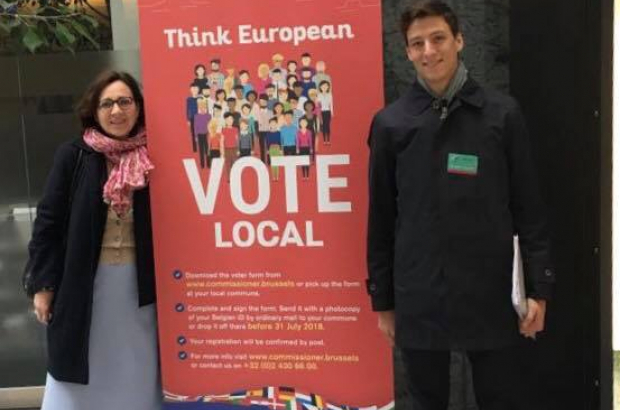 More than 130,000 foreigners in Belgium have registered to vote in this October's local elections, according to the latest figures from the interior ministry. On 28 July, 130,649 non-Belgians had joined the electoral roll. The registration deadline was 31 July, so this figure does not take into account last-minute sign-ups and voter registration forms that had not yet been processed by town halls. The vast majority of foreign voters are EU citizens - 112,382. Another 18,267 non-European citizens resident in Belgium for at least five years have registered for the elections. The municipalities with the most success attracting European citizens to vote were Ixelles (3,894), the City of Brussels (3,709) and La Louvière (3,489). The largest number of non-EU voter registrations was in Schaerbeek (1,846), the City of Brussels (1,423) and Antwerp (1,036). Local elections in Belgium take place on 14 October. If your registration was successful, you should receive a letter in the post. Shortly before the election you will receive another letter to bring to the polling station.